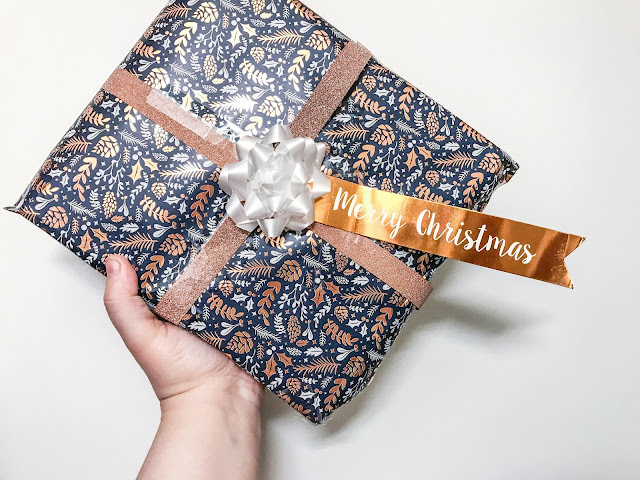 I'm not completely happy with the title of this post because it's not like I'm giving you a step by step tutorial of how I wrapped my presents like first, I cut the wrapping paper, then I stuck it together with tape but equally, it's not like how I decorated my Christmas presents because a bit of ribbon isn't exactly decoration. 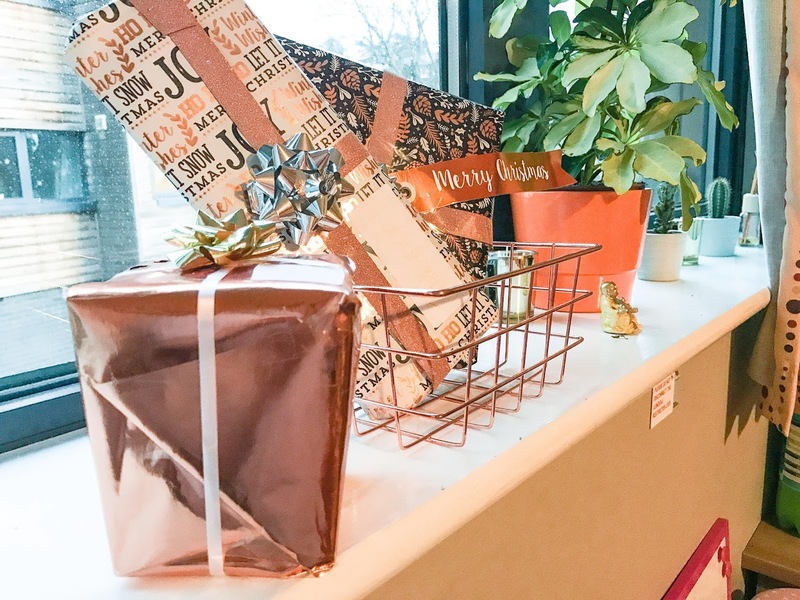 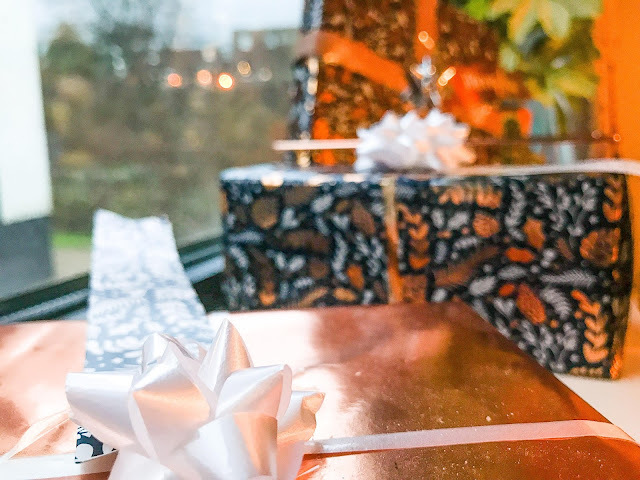 Anyway, it's Blogmas day 12 and I'm going to be showing you the presents I have wrapped this year because I think they look quite nice, if I do say so myself. 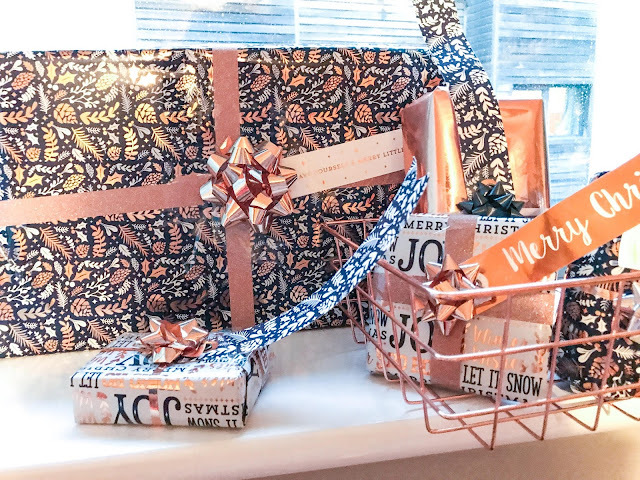 I used three styles of wrapping paper this year and although at first, I was convinced that the copper paper would be my favourite because I'm a big fan of copper, my favourite turned out to be the dark blue colour because I really liked the design and plus, it was so much easier to tape together than the copper one which would peel off constantly and really wind me up. I'd say I've easily spent over 10 hours wrapping presents this year, I don't know whether that's something to be proud of or embarrassed of considering I don't have that many presents to show for it. As I'm writing this, I wonder if people actually care about how I wrapped my Christmas presents and let's be honest, you probably don't but hey, at least I'm having fun writing the post, right? 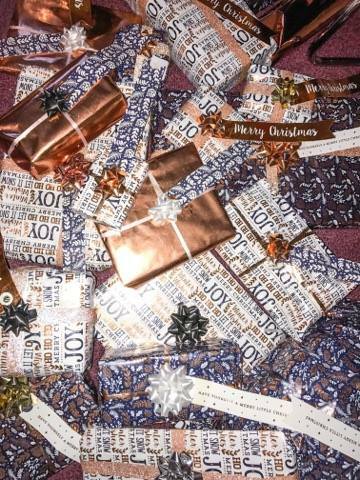 I also really like the name tags even though they are very large on some of the presents but they look pretty so that's all that matters. Do you like wrapping presents or do you avoid it? 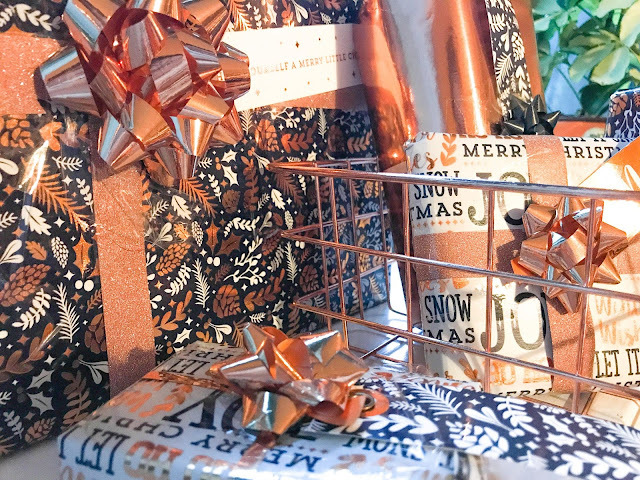 You’ve got a beautiful wrapping paper😍 love the way you wrapped your gifts!